World football’s governing body, FIFA, will elect its ninth president on Friday. This has been labelled as an historical election for FIFA, which has been engulfed in numerous corruptions scandals and repeated attempts to reform its governance over the last decade. The same day, in the same meeting of FIFA’s extraordinary congress, the 209 national FAs will also vote on the adoption of an important package of reforms that should improve FIFA’s governance. The latter, which is probably as important (if not more) as the former, has been largely neglected by the international press. This presidential election is being portrayed as, perhaps, the latest opportunity for FIFA to regain its credibility as a governing body of football, and for a new FIFA to emerge out of the electoral and reform process. There is no discussion that, as an organisation, FIFA is on difficult grounds. Its legitimacy and reputation has been affected by the corruption investigations of the Swiss and US police forces. Also, the governing body’s own ethics committee has banned the last president, Sepp Blatter, and general secretary, Jérôme Valcke. There are questions about the commitment of sponsors to keep doing business with FIFA and, for the first time in a long time, the organisation has reported financial losses. The extraordinary congress meeting in Zurich on Friday has the responsibility to take decisions that can make FIFA a stronger organisation, able to develop a culture of democracy, transparency and responsibility towards football stakeholders. Hidden behind all the debates about corruption and need for reform, however, lies a clear battle for power and influence in world football. Underlying this election is a clear tension between the traditional football powers in the west and the emerging markets in Africa and the Far East, which could not be better exemplified by the two frontrunners – Gianni Infantino, General Secretary of UEFA, and Sheikh Salman bin Ebrahim al-Khalifa, President of the Asian Football Confederation. Traditionally, football political and economic power has been divided between Europe and America, especially South-America: Seven of the eight former FIFA presidents have been European, with the remaining one being Brazilian; the World Cup has only been hosted twice outside Europe or America; the 2018 Russia World Cup will feature 14 European teams, four or five south-American teams and only five African teams. Undoubtedly, Sepp Blatter’s tenure as president of FIFA was largely based on the support he gathered from emerging economic powers in football, as I argued in a recent article. Globalisation processes are affecting football, and this fight for power in FIFA is yet another example, whereby the traditional political order is being turned upside-down by the economic power of the new markets, strategically exploited by Sepp Blatter and FIFA. Thus, in this election Gianni Infantino represents the traditional football powers, who have dressed his campaign in values of democracy and governance for a new FIFA, as if they had the holy grail of good governance standards. Infantino has the declared support of UEFA and CONMEBOL, the South-American confederation. One has to wonder if the new FIFA supporters are not really just trying to regain some of the old powers that globalisation seems to have taken away from them in world football. The other front-runner, Sheikh Salman bin Ebrahim al-Khalifa, has the declared support of the African Football Confederation (CAF) and a number of countries from North, Central America and the Caribbean (CONCACAF). He also has the support of his own Asian confederation. He is often portrayed in the western press as unable to implement any governance reforms, and purely a follow-up act to Sepp Blatter’s tenure. Salman would be the first FIFA president from outside the traditional powers, but he might be tainted by his close rapport to the Blatter era. There are also accusations labelled against him in relation to human rights issues in his own country, Bahrein. The result is probably too close to call. Given the public endorsements received from Infantino and Salman, it is safe to assume that the remaining three candidates have no chance of being elected. 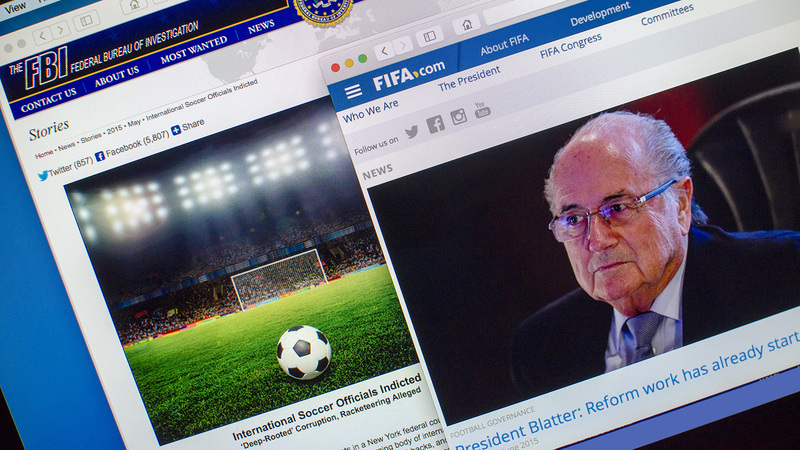 207 of the 209 members of FIFA will be allowed to vote, as two are provisionally suspended. The president shall be elected by a two-thirds majority in the first vote and, if this is not achieved, a simple majority will suffice in a second or subsequent round. As it is unlikely that any candidate gets elected in the first round given there are five standing for election, there will probably be several votes until one candidate reaches 104 votes. Whoever is elected will have a big responsibility and will be subject to enormous levels of public scrutiny. FIFA is in need of a new era, but one has to wonder whether the political games are going to make reforms possible. Dr Borja García joined the School of Sport, Health and Exercise Sciences in January 2009 as a Lecturer in Sport Management and Policy. He holds a PhD in Politics, International Relations and European Studies from Loughborough University (United Kingdom), where he completed his thesis titled ‘The European Union and the Governance of Football: A game of levels and agendas’.